New Delhi, Nov 20 : With a new leadership likely to take over in China next year, Defence Minister A K Antony has expressed his displeasure over the slow progress of infrastructure in the North East. 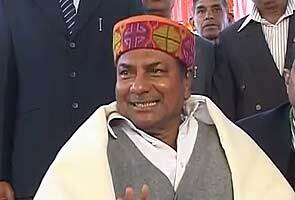 Mr Antony's displeasure comes at a time when constructions and refurbishment of critical roads in Arunachal Pradesh and Advanced Landing Grounds (ALGs) in the North East are running way behind schedule. According to the plan, India was to build an additional 277 roads with combined length of about 13,100 kilometres along the China border by this year to ensure better connectivity and faster troop movement. However, according to Ministry of Defence (MoD) officials, in as many as 80 projects work is yet to begin. Only 29 out of the 227 roads are complete and construction in 168 projects is behind schedule. It is now expected that road network is likely to complete by 2015 if there are no further delays or hold-ups. Source told NDTV that Mr Antony has also directed the newly appointed Minister of State (MoS) (Defence) Jitendra Singh to deal with issues relating to environmental clearance. Several critical and strategic roads are stuck because of environmental clearances. Mr Singh has also been asked liaise with the state governments to speed up with the projects. According to MoD sources out of the 29 roads that were to come up in Arunachal Pradesh by 2012 only eight have come up. Similarly out of 13 roads that were to be built in Uttarakhand, a single road is complete. Likewise in Himachal Pradesh, out of the five roads that were to be built, only one is operational. Delays in land acquisition, lack of support from Indian Air Force to air lift material, unwillingness of contractors to work in difficult areas are some of the common reasons for delay in road construction the MoD was told. The up- gradation of the Advanced Landing Grounds (ALGs) in the North East to all weather air fields to carry in supplies for forward stations and also to be used as launch pads to stage attacks deep inside Chinese territory also isn't going according to plan. It is understood as against seven ALGs that were to be made operational only two are operational and that to only to a limited extent. Mr Antony, it is understood, has asked the Vice Chief of Air Staff to monitor the up-gradation on a day to day basis. Sources also told NDTV, that the Air Force has been told that it needs to ready the air fields before the schedules that have been given to the MoD. China in contrast has metalled roads and highways that connect all its logistic centres and major defence installations along the Sino-Indian border. And, in some sectors these roads are as close as one kilometre to the line of actual control (LAC). Earlier this year the MoD informed the Parliamentary Standing Committee on Defence that China was in fact increasing the width of all major highways in Tibet to double lanes highways.